How can my startup better predict consumer trends and behaviour? Why is my department less productive than it used to be? How do I explain to my engineering team how our new product features are performing, and how we can improve them next quarter? Canada’s leading certificate programs in data analytics are helping teach professionals how to derive actionable insights from large data sets—and answer precisely these sorts of questions. The ICTC forecasts 43,000 data analyst positions will need to be filled in Canada by 2020. But while job prospects are strong for analysts with skills in statistics and computer programming, successful graduates understand that business context and the ability to present data to non-technical colleagues is what will distinguish recent hires for future leadership roles. Whether you’re already a seasoned business professional interested in a short certificate course in SQL, R or Python, or you want to make a career change with in-depth university training in business, computing and big data, here are the Canadian schools Course Compare users say are helping them make the grade with employers across North America. 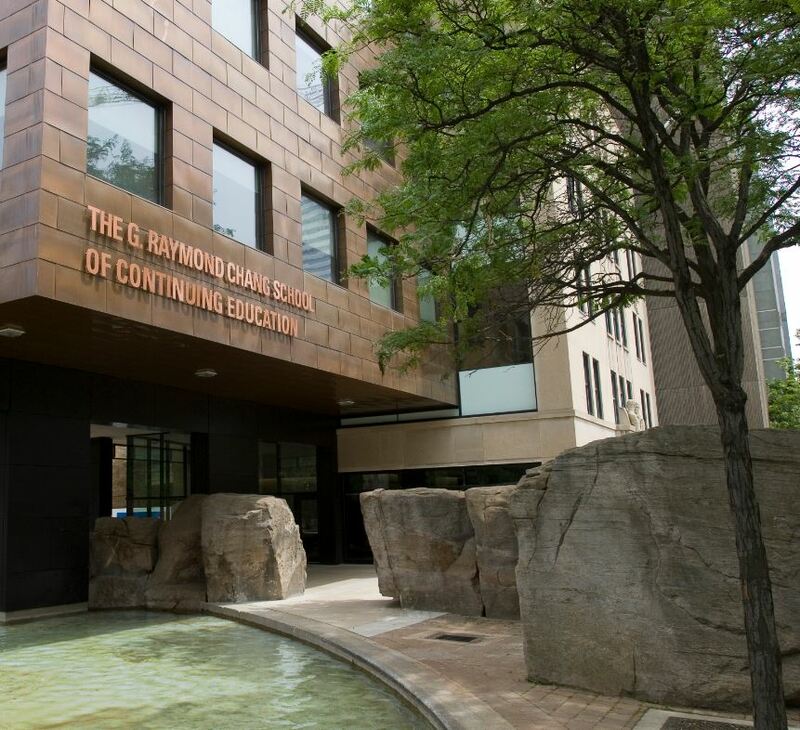 The G. Raymond Chang School of Continuing Education at Ryerson University is Canada’s largest, most successful continuing education program, with approximately 70,000 enrolments each year. The former polytechnic prides itself in providing superior and innovative programming; teaching staff who are thinkers and practitioners; connectedness through industry partnerships; a community of motivated students; and a collaborative teaching model that invites the city of Toronto into the university. Why Study Data Analytics at The Chang School? The Chang School combines degree accredited courses, dedicated Big Data Analytics Computer Labs, in-class coaching, and remote after-class tutoring services (included in the price of tuition) to provide a learning experience that’s as academically rigorous as it is career focused. Course curricula are updated regularly in consultation with employers. And the Certificate in Data Analytics, Big Data and Predictive Analytics allows learners to meet the educational requirement for the INFORMS CAP Exam. The Chang School’s most popular certificate programs in data analytics are the Certificate in Data Analytics, Big Data and Predictive Analytics, and its 15-week accelerated format offered in the spring/summer term called Data Analytics Fast Track. The university also offers popular part-time intro courses in Python programming, Hadoop and Tableau, and Big Data, to name a few. For more, check out the school’s full offering of data analytics courses. BrainStation is a global leader in digital skills training. BrainStation empowers individuals and organizations to achieve digital success through courses, workshops, events and corporate training. BrainStation’s Education team of 250 industry professionals has trained over 50,000 people through campuses in New York, San Jose, Toronto and Vancouver. Why Study Data Analytics at BrainStation? BrainStation’s 20,000 square-foot Toronto campus is a hub for tech panels, student workshops and community events. 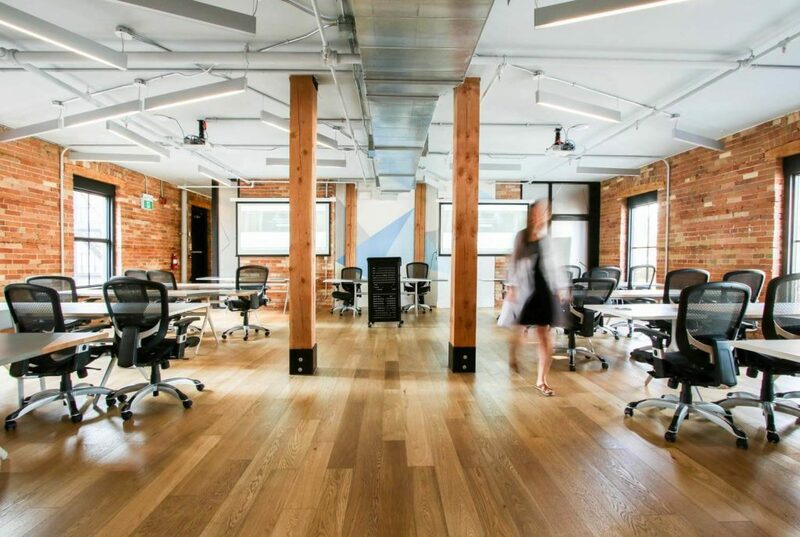 With career-focused, employer designed learning experiences and industry-leading instructors, BrainStation is a living laboratory for Toronto’s aspiring tech talent. Campuses in Vancouver, Boston, Chicago and New York, and a new online learning platform, Synapse, further extend the school’s ambitions as a global leader in digital skills training. BrainStation boasts a full roster of data science and data analytics certificate programs. Part-time certificate programs include Advanced Excel for Analysts and an intro to data fundamentals in Data Analytics. In addition to Python, machine learning and part-time data science training, BrainStation also offers a full-time diploma program through its Data Science Bootcamp. 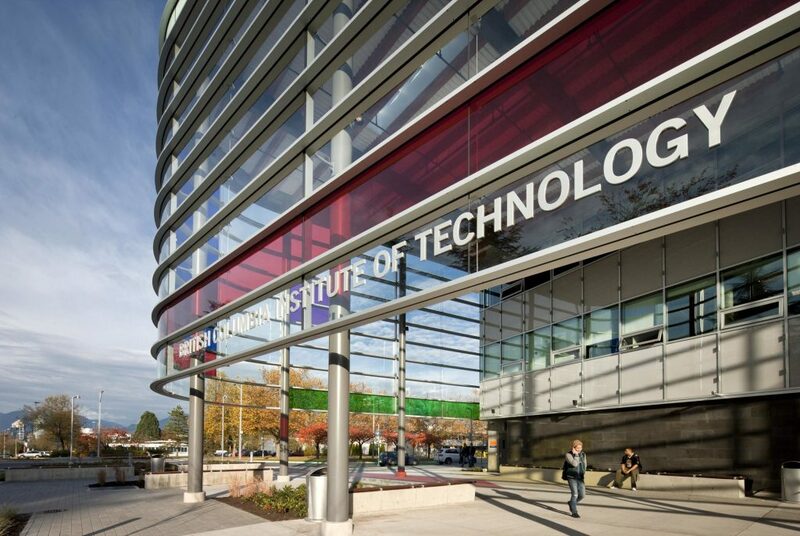 BCIT boasts a 96 per cent graduate employment rate. Whether you study engineering, natural science, computing, transportation or business, BCIT will help you to build connections, develop practical experience and be prepared to get the career you want. BCIT’s cohort model means small class sizes and collaboration bring students together to work side by side with each other and with experts from industry. You will forge strong connections with your classmates and instructors throughout your time at BCIT. Your learning experience at BCIT may be intense, but you will graduate with industry ready skills and experiences that will prepare you to face the next step in your career. Why Study Data Analytics at BCIT? BCIT has a well-established reputation among employers across Western Canada, and that reputation extends to its data science and data analytics certification programs. Comprehensive and focused on producing job-ready graduates, BCIT ensures its data analytics programs empart hard-skills in database management and statistics as well as knowledge in IT security, and Internet and IT law. BCIT offers two part-time certificate programs in data analytics through its School of Computing and Academic Studies: the Applied Data Analytics Certificate (ADAC) and Applied Database Administration and Design. Also popular is the full-time Graduate Certificate in Business Analytics offered through the School of Business. York University is Canada’s third-largest university with approximately 52,300 students, 7,000 faculty and staff, and 295,000 alumni worldwide. The School of Continuing Studies at York University offers a constantly evolving roster of continuing education programs, designed to help you reach your goals (whatever they may be). The School doesn’t do things like other universities. It’s unique cohort program structure goes above and beyond the usual continuing education experience, offering students faster completion times, flexible study formats, and opportunities to develop the cross-functional skills sought by top employers. Why Study Data Analytics at York University? York’s data analytics certificate programs are designed for working professionals, with two 6-month programs running exclusively in the evenings. Students can choose to enroll in the initial certificate or both certificates at the same time to complete the full program, which combines core analytics training with mentorship and internship opportunities after graduation. York offers the introductory Certificate in Big Data Analytics and the Certificate in Advanced Data Science and Predictive Analytics. To enrol in the Certificate in Advanced Data Science and Predictive Analytics, you must either complete the Certificate in Big Data Analytics or be able to demonstrate equivalent education/work experience. 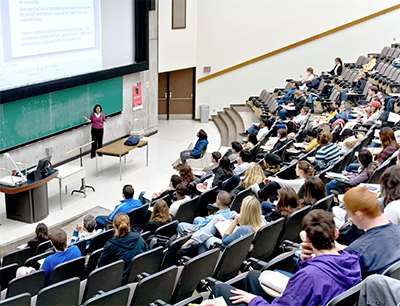 The University of Toronto School of Continuing Studies (SCS) offers an extensive roster of over 700 courses, over 40 program areas, and more than 100 certificates across a broad range of fields that help learners succeed in their careers, satisfy their curiosities, fulfill their passions, and live their best lives. Courses are delivered by a team of 700 instructors, all of whom are industry or subject matter experts who are passionate about teaching and learning. Why Study Data Analytics at the University of Toronto? Canada’s preeminent research university is known for attracting first-rate faculty able to teach a breadth of data analytics specialties. These include IT courses and certificates focused on IT and business, and how the two intersect, covering the fields of Privacy, Access, Cloud Computing, Cyber Security, Risk Management, Governance and Security, Data Analytics, Enterprise Architecture, User Experience Design, Data Science, and Artificial Intelligence. Programs are also designed to prepare learners for a variety of internationally recognized certifications. The University of Toronto’s School of Continuing Studies offers three certificates in data analytics and data science: Data Science, Management of Enterprise Data Analytics, and Artificial Intelligence (AI). Learners interested in studying AI should understand basic statistics and be comfortable programming in Python. Startup accelerators launch companies. Bitmaker launches careers. It starts by surrounding you with a cohort of highly motivated, entrepreneurial learners and a team of tech industry leaders. Bitmaker’s immersive programs have graduated hundreds of students and helped them launch new careers in tech. Hundreds more students have added skills to their existing career with our part-time classes. Why Study Data Analytics at Bitmaker General Assembly? Spotify, Bloomberg and the New York Times are among the advisors helping shape Bitmaker General Assembly’s accelerated data analytics curriculum. 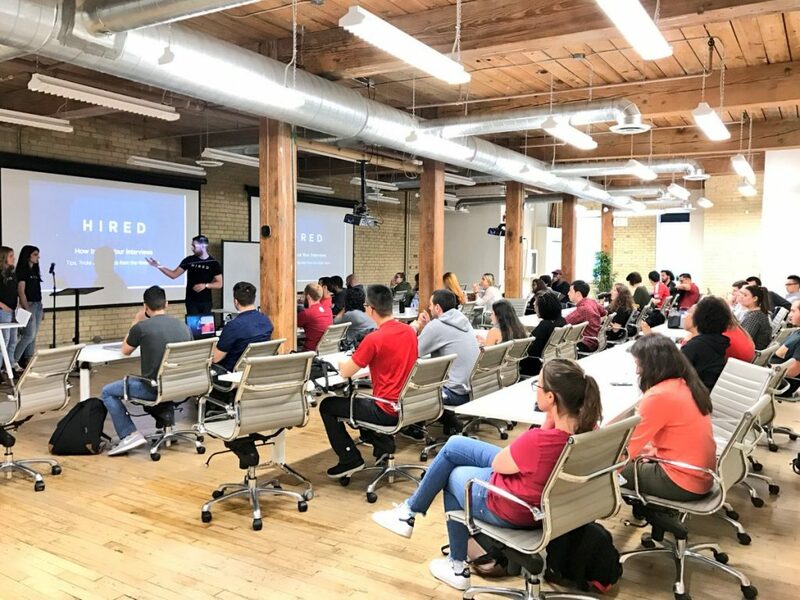 The coding bootcamp takes an intensive, career-focused, approach to training its students and offers on-campus career coaching services to students of its full-time Data Science bootcamp. 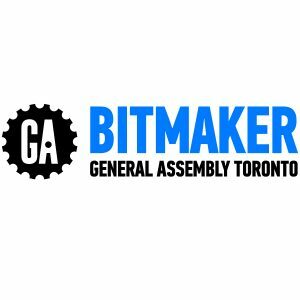 Bitmaker General Assembly offers three data courses: the full-time Data Science bootcamp and its part-time (non-certificate) Data Analytics and Python Programming courses. WeCloudData prepares you for the next generation of data science challenges and offers everything you need to succeed in career transformation. WeCloudData is a leading data science education and career service provider in Canada. The school is known for serving as a bridge between devoted and passionate data scientists and companies who need help with challenging business problems in data analytics. Why Study Data Analytics at WeCloudData? 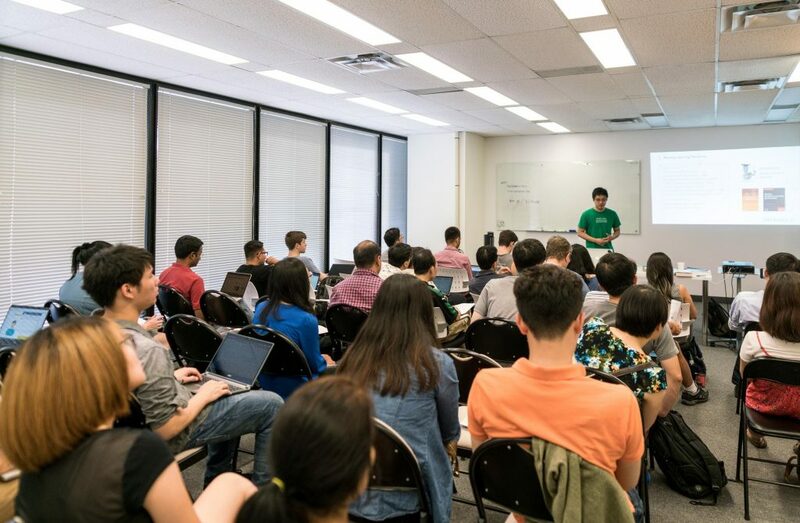 WeCloudData was one of the first bootcamps in Canada to offer advanced training in data science, including applied instruction in machine learning, cloud computing and data engineering. For beginners, WeCloudData offers introductory courses in Excel, SQL and Tableau for as little as $300, making it one of the most affordable options on this list. What’s more, WeCloudData co-founder, Shaohua Zhang, still spends plenty of time in the classroom, where he consistently gets top marks for teaching. Before co-founding WeCloudData, Zhang taught big data at Ryerson University and managed research and development projects at Blackberry. WeCloudData doesn’t currently offer certificate programs, but its introductory and advanced classes are popular among data professionals at the beginning and intermediate stages of their career—which is why we’ve included the school here. Beginners, check out Data Science with Python or Python Fundamentals. If you’re already a data science professional but interested in more advanced training, try Advanced Machine Learning or Spark in Depth.